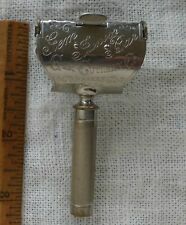 5 Vintage Shaving Razors. Gem Junior Ever-Ready Schick Gem Micromatic. Gillette. Trending at $15.57Trending price is based on prices over last 90 days. 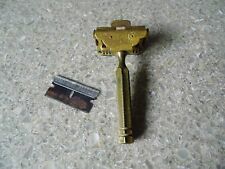 VINTAGE GEM JUNIOR RAZOR "PARADE EDITION"
Vintage GEM Junior Bakelite Handle Single Edge Safety Razor Nice & Clean!